Born in Piacenza, he resides in Milan, Italy. He is a writer, poet, painter. He attended artistic circles and art associations in Milan, has been part of significant artistic movements. He has studied mechanical engineering, statistical mathematics, art and criticism of art, astrophysics, microphysics. Eclectic spiritlives and feels to live in our time. Since the mid-1980s, it was considered belonging post-contemporary art with post-futuristic moments. After the meeting with Roberto Denti in 2009, he embraced Quantum Art, becoming one of the major exponent sand participating in all the exhibitions and performances organized in Italy and China, as QAGI group and later in Russia as MAQ. His creations were very numerous, from painting machines, mechanisms, fantastic tools, insect design and mechanical animals, to the painting of applied mechanical part sto mechanical systems, to medical painting, micro and macro universes possible. For some years he has been working in the field of "digital art"and its representations evade figuration to reflect profound research, aimed at the animated primordial questand inanimate to find (according to the art is thimself) "The sense of the birth of the whole". He has multiple intellectual interests such as: science, literature, poetry, philosophy, theology, history. His philosophy of life is man, at all times of his life,be basically yourself and "build Yourself", mentally and spiritually, with out beingin fluenced by other men who are "enlightened". He is also a poet, founder in 1990 of the group "The Poets of Aries" his works are classified by many criticsas "poetic and casual stories". Main exhibitions: ART Milan, Biennale di Bologna, Taormina, Turin, Venice, Bergamo ewith the QAGI-Quantum Art Group International groupin over forty exhibitions, performances in Italy and China: in 2012 in Shanghai at the Shanghai Italian Center and at TaiCan, Suzhou at the TG Dragon Museum. MAQ participated in allexhibitions in Milan, Moscow, St. Petersburg. His works with wax interpret art fully the search for the intimate structure of matter, how it is formed and transforms, starting with the particles formingit. In fact, the use of hot wax and ubsequent interventions, modify the structure of the particles, revealing reliefs and colors with a definite randomness. The works of Gatti also denote a dialectical contrast between her thinking and her being introverted towards the world around it. This contrast is aimed at cultural and social change. An attitude and a way of being that, accompanied by his research and artistic expression, makes Maurizio a real Quantum Artist. The author speaks of his works in these terms: "I make the accidental fall of melted wax on a wooden board, an operation I use to achieve a high erlevel of depersonalization, so that the author occupies a seat at the side of the work. Wax will paint so "causally" representing a similarity of the world and it send less casualty: "everything has happened, everything is thrown in the moment". For this reason does not indicate the year of creation of works, because the moment it self is placed in a timeless band. For this reason, all my works have the title, onlyt he hour and minute of the first wax cast on the stand. " Maurizio Gatti MAG has exhibited at various events in Milan, Venice, Constanta and with the QAGI Group, in Shanghai and Suzhou in China,at the Liberty Palace in Milan and in a doze nother events. With MAQ Quantum Art Movement, he exhibited in Milan, Moscow, St.Petersburg. His works are present in prestigious catalogs, such as those of 2006 Artists in Heaven and Earth, Libreria Bocca, Milan. From Teramo, art daughter, she has a great interest since her child hood for the artistic design and the painting he has cultivated since high school, having attended high school and having graduated in Letters at the University of Chieti with a dissertation on"PopularTopics in Teramano Art". In 1974, solicited by the painter Alberto Chiarini, she first participates in an extemporaneous a Cerqueto by Fano Adriano, getting a prize. Thusbegins his artistic activity with synthetic representations of the landscape of Teramo in whichit is used mainly green. In the 1980s the landscape became a reflection, on the shadow-light ratio and the surrealist expression of reality. In 1987 a personal exhibition entitled "Over the Light"exposed to Teramo in what is now Space 7 - By Gabriella Fabbri, in Via Filippi Pepe, 24. Starting from 1994 begins the period of "Bright Chromaticism" with the "Conversation" cycle that gives rise to the second personal show exhibited in Rome (2000), Pescara (2007) and Teramo (2007/08). From the interest to color and informal experience of the path "Crossing the Time" comes the "Cosmic Games", addressing the theme of energy in Macrocosm and Microcosms, focusing on the relationships between these two dimensions and high lighting many conceptual ideas. On the subject of the Microcosms are set up some personal exhibitions in Teramo, Palazzo Cerulli (2008), former church of Santa Maria a Bitetto (2009), to Spoleto in the "La Bottega dell'Arte" Gallery. In Pescara in 2012 it is presented in the Media Museum the personal exhibition "Shadows in Contro-Light" and in 2015 the staff "Rotating" in Spoleto. Gabriella Fabbri's personal exhibitions identify a careful and insistent research, characterized by classroom training and profound knowledge of the Art History that the artist taught for many years in the higher schools in Abruzzo. His works appear on books, magazines and catalogs. 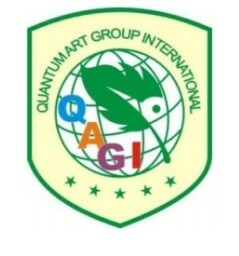 With quantum art groups QAGI and MAQ participated in exhibitions and conferences in Milan, Shanghai, TaiCan-Souzhou, San Pietrobuirgo and Moscow. Was born Rivolta d’Adda, Cremona. She perfected her art after attending various courses on nudes in Bergamo and sculpture at the Accademia di Brera Milan. She made her debut in the world of art in 1956. Her art was characterised by expressionist paintings and satirical spirit. There after her creativity used different forms and research to express itself, wood, bronze, terracotta sculptures as well as jewels until to her art became essential. The 1990’s represent a continuation of her continual search. Both her painting and sculptures took a sharp change in direction towards increasingly more essential forms with ever more complex research into materials and style. The art critic prof. Giorgio Segato, writes about her: "FaustaDossi feels much the materials and the color, love the sculpture and painting, but with both sets an essentially tactile relationship, in molded or in engraving, and in collage and decollage. Tactility is one of the dominant characters of his work: able to act on the plastic mass by making movable parts on pins, so as to modify the volumes, the prospects, the play of light on the surfaces, often with the constituent parts treated in different ways, the polished or brunite the movable part, and the skinned fixed one, so as to highlight the articulation and the eventuality of a rotation that opens spaces, "thresholds". Her compositions feature dense colours on heavy paper which FaustaDossi creates with her own hands. Her work has been displayed in national and international exhibitions in Spain, France, Austria, Germany, Belgium and U.S.A.
With QAGI and MAQ, she has participated in important events in Milan, St. Petersburg and Moscow. Elena Carvalho was born in Rio de Janeiro, Brazil. She obtained full degree in Visual Arts in 1990 and graduation in textile design in 2000. Her artistic career began in the early 90s with group and solo art exhibitions occurred in and outside of Brazil. 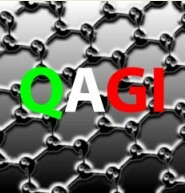 Currently she is an artist member of QAGI – Quantum Art Group International (Milan). Some of her paintings are in private collections around the world such as in Australia, Barcelona, Amsterdam, Canada, Itaperuna, Japan, Madrid, Nova Friburgo, New York, Petrópolis, Rio de Janeiro and Salvador. In addition to acting as an artist, she teaches art in a public school. When I paint, I never know exactly what I will produce. I open my sensorial field and tune myself as an antenna picking up signals, by connecting a sensitive area of the reality a parallel world. There, ideas are captured and spilled on the canvas. Occurs a kind of dialogue with the colorful scenes, while I capture their essences. In a second step when my esthetic sense takes the command, new creations arise, leading me to finish the painting. For me, to paint is not only an act. It is a place in time and space, where I feel alive and free. My art talks to the emotional, the cognitive, and to the spiritual, and wants to inspire people with color, hope, joy and peace. I have been exhibiting my works since 1987, in Rio de Janeiro, New York, Madrid, Sao Paulo, Amsterdam, Paris at Carrousel Du Louvre, Milan. I received Honorable Mention in 1995, 1996 and Special Prize in Brazil. Self-taughtartist, he began to paint for attraction which he felt towards spontaneous gesture and no conditioning, typical of dripping. Artist a little introverted, he expresses himself fully in his paintings and in his works on paper. His first works are a tribute to US artist Jackson Pollock. He with his casual, rotating, and even violent gestures, express all his inner world and throwit on the canvas using strong colors, randoml ymixed, where many times the black color is predominant. Black we notice it in the background and, especially in the first paintings, in the castings, in the droplets. The second artistic period see shim engaged in an artistic metamorphosis, always geared to pure abstraction. In fact, Pasquale, treasuring the experiences gained in the field of art, creates more personalized paintings, where dripping is replaced by more important interventions. His artistic technique also changes in the use of colors, more mixed between them and slightlyl ighter. What does not change in Pasquale is that he express everything himself and his inner world in the canvases. Robert Pope artist-philosopher, the founder of the science-art research centre. Professor Robert Pope is the Author of Enzinearticle celebrities and the father of Platonic Fullerene chemistry. In 2009, he received the gold medal laureate, awarded Atronach, Telesio-Galilei Academy of science, London. He worked with the late former head of the development sector in AEG-Telefunken Institute of automatic control in Frankfurt, Hamburg and Berlin, Professor Wolfgang Weber, to establish the basis of Buckminster fuller's world game theory, in order to implement s P snow's human survival theories with the help of supercomputers. As the Director of the science-art research centre of Australia, Robert Pope has written a new book, the 21st century Renaissance', published in 2012 in connection with the New dimension of the University of Florence of the mankind project. Diana Coatu is a digital artist from Sibiu, Romania. Diana is a licensed physician (M.D) and has been practicing allopathic medicine for the past 26 years. Her artistic interests were always pronounced and found their expression in 2015 when she started experimenting with the fractal software JWildfire. The newly discovered artistic freedom and endless possibilities fascinated her! Her interest in natural sciences, especially for quantic physics, accompanied her all her life and she always tries to keep informed about the latest discoveries in the field. She has a holistic view on life and is very interested in spiritual enlightenment. As an individual, Diana is a very caring, sensitive, empathetic and discrete person, always trying to care for her family and friends. In the search for maximum artistic expression, she likes to experiment with different techniques and methods such as mixed media. So far, she has participated in four collective exhibitions in Florence, Italy and won the Recognition Prize of the Palm Art Award in 2017. The essence of her artistic vision reads as follows: the artist dreams in the heart of the endlessness. The infinite releases itself from the constraints of time releasing light. A fresh new world is shaping up, erupting from the virtual and imposing a brand new reality on the viewer. Her artworks reveal the holo-fractographic nature of the universe. The journey to other dimensions, the archetypes, the ethereal, the quantic dimensions, the mythological and the oneiric frequently materialize, having a profound spiritual meaning. The intense connection, which exists between everything and everyone most often breaks out in full force; at other times it makes its way in a subtle, almost imperceptible fashion, transposing the beholder to a fascinating realm, whilst seducing him. That is where the mirrors of being, reunite the primordial beauty with the joy of being one. The digital environment provides her with the ideal framework for creating such sceneries, where the quality of light and the purity of color transpose the viewer. She invites you to get carried to other dimensions, in which dreams and visions get intertwined in the realm of visual magic. The artist in the photo was born in Bagheria (Palermo) in 1952-the city Guttuso. Since he was a boy, he cultivated a great passion for drawing and painting, besides a large interest in astronomy. Sicilian, he loves his land with a strong critical spirit, and his land, he receives a gift their colours are reflected in the first landscape works. The attractiveness for "flowers" for "light" then would you describe your area of maturity. Life leads him to other jobs, a degree in statistics, business consultant for many years .. but never forget about their passion, which come to the surface in 2016 with a return to painting and artistic photographic studies of "the light"and " flowers". Cut a part of his time to devote himself to art and in conjunction with one another palermitan artist, Rosario intends to create "art pole" with mobile exhibitions for the city of Palermo. Its catalog includes approximately 120 paintings and 30 "Art.picture." He was born in Bologna in 1962, he began to devote himself to art since 1977, starting to follow different artists of national importance. In 1980 I started to exhibit in group exhibitions, and in 1983 he held his first solo exhibition. Along with this medical operation. His interested in Eastern thought and philosophy, especially Zen and Taoism, ecology of mind and ecosystems. His work is represented in 2 different series: as a rule, large canvases, which are informal lyrical expressionism, and "sketches" small works on wooden table, painted on all sides. Both series have a strong reliefs for the items on the canvas. Many of his works: in addition to sight they are feeling (relief) and spirits (newly added items are often riddled with entities). These paintings are designed to make the viewer think and stimulate introspection. It exhibited at many collective and personal exhibitions throughout Italy and various works are part of important private collections. Alessandro Testa was born in the forties in Trevi, in the province of Perugia. The meeting with painting takes place in 2005. He began to paint as self-taught, after a long figurative sculpturto experience. Starting from the seventies, he experimented with the sculpture of wood. It works different essences: the apple tree, the lime tree, the wtonut tree. But among tol it prefers the olive wood from which bas-reliefs emerge from the explicitly rurto taste, like the scenes of the trades of his Umbrian land. The approach to copper processing dates back to 2000. Metto with which it molds receptacles of daily use and archaic figures with a sacrto aura. musicto instruments that evoke emotionto vibrations. The artist declares: "Not knowing how to paint, what I'm looking for is just creating to launch a message ". Communication is therefore placed at the center of his pictorito experience, which evokes stylistictoly, informto art, without ever referring explicitly to a particular artist. The first works, those until 2010, are crossed from an evident vein of controversy that unites him to graffiti screamed by writers. He launches written on the canvas, emerge words of protest among the colors, but nothing is random: everything ditoogues within the frame, from which a cry toways comes out. A scream that is often the chromatic message of protest of a rebellious sensibility, deeply wounded by the injustices of contemporaneity. Words disappear from the canvas starting in 2014. In the works of the last years, Testa abandons the spelling. But his works are never silent. In fact, his soul keeps moving, speak and vibrate between the colors of the paintings, with indomitable harmony. Renato Lipari was born in Milan in 1952. His artistic career starts with the experimentation of different styles and techniques, that confirm his innate creativity and natural need for research. In the early 2000s, after he left the previous production, his language moves towards a rigorous survey of the surface using the shredded euro, at first defining a conceptuality of complaint, then moving towards an “analytical” side. He exhibited in solo and group exhibitions and in the most qualified contemporary art fairs. Of himthey wrote among others: Carmen De Stasio, Mimmo Di Benedetto, Francesco Gallo, Marina Giordano, Giovanna Grossato, Gianfranco Labrosciano, Loredana Rea, Marcello Palminteri, Gabriele Perretta and Giuseppe Viviano. He lives and works in Palermo, Italy. My name is Anthony Wayne Ustazewski, I am 68, married to Pamela, my very supportive wife, and we presently live in southwestern Pennsylvania in the small historical hamlet of Ligonier. In the foothills of the Allegheny Mountains my wife and I live a secluded lifestyle, retired except for painting which I have done since my early 20's. My grandfather was from Krakow Poland. Because of the American dust bowl my grandfathers horse farm in Oklahoma had to be moved to Pennsylvania where my cowboy father became a coal miner to support his large family. Born in 1950 with two older brothers, I grew up poor in a coal mining town called Herminie #2, where art was always a part of me, drawing on cars or T-shirts and sometimes advertising signs. Electronics was my first degree because of my interest in how things worked. Drafted to Vietnam in 1970, one week after graduation sent me on a different coarse by celebrating life and following my first love of art and earning a fine art degree in painting after my army experience. In my second year of college I took a course called Phenomenology which would forever change my ideas in art. After years of experiments, as I called them, I became able to tame the chaos of a world I imagined possible. I became fascinated with black holes, the very large and the very small worlds, other dimensions, and the limits of the physical senses were all questions I pondered. My paintings have always been an extension of my experiences and readings in science and philosophy, a challenge to represent conditions we have never seen. Not to just paint chaos or an unlimited number of conditions, but to do it with a deep sense of painting, as in fine art painting. I have invented something called Phenomenism. With limited space I can say that I work with a new set of axioms as elements in my paintings. The rules I work under allow me to achieve compositions I can't produce in any other way. There are specific rules to create Phenomenism. They tend towards purity, almost like a check system in math. The compositions prove themselves by their own existence. I believe these efforts will eventually lead me to artistic breakthroughs in compositions not reachable in any other way. In the last 5 years I began to refer to Phenomenism as quantum for I felt it was the next step to a practical application of my artistic experiments. 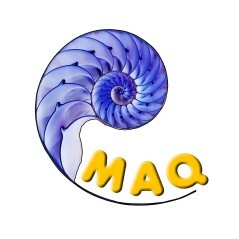 I recently discovered MAQ and was excited to know there were others pursuing similar objectives in combining science with art. I will mention here that I did teach college art history and studio classes for a 15 year period, giving me an incredible opportunity to teach. A few months after moving to my present address my new awkward address was changed by the post office to 214 Galaxy Lane, Ligonier, Pennsylvania, a perfect address for a quantum painter.